Responding to religious, social, personal, and societal values, Aaron and Amy’s home and toy store have become eclectic projects bringing new life to a brownstone on 1st Avenue in Seattle, Washington. The top two floors will be a self-contained, private residence, reflecting a meditative, yet social atmosphere. This has been designed so these floors can later transition into space however they desire. The third floor will be a large open space that can accommodate more than ten people for socialization. Adjacent to this space will be a kitchen that is open for socializing. The colors will follow that of Buddhist tradition, but will rely heavily on blacks and whites to keep it neutral, calming, and timeless. There will be a small powder room for guests. Natural, organic-based toy store that promotes healthy living, confidence, fun, creativity, imagination, innovation, and an appreciation and love for the earth. While being a youthful, exciting sanctuary for kids to safely play is the main goal of its outward appearance, the store is focused on fostering and nurturing each child even after they leave the store. Providing them with tools, disguised as toys, that will become vehicles for their imagination and growth, all while being eco-friendly and expressing the importance of nature. 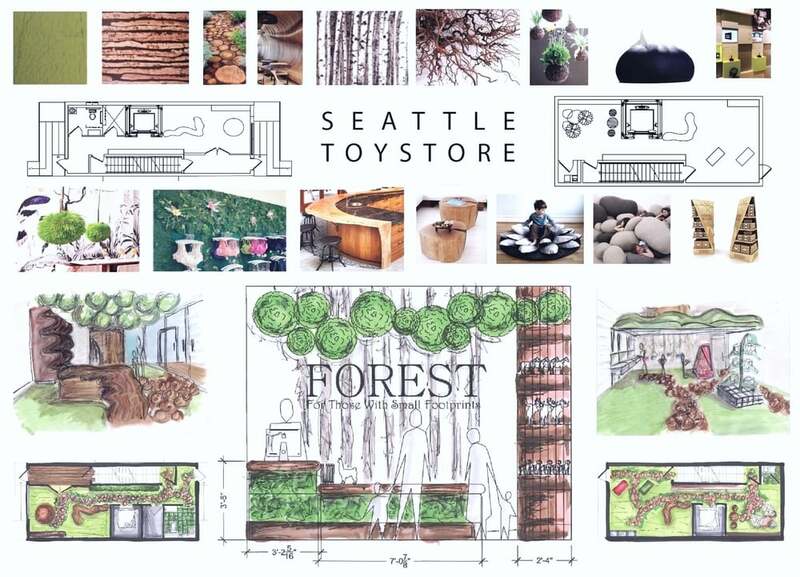 There is no competitive, organic, nature-based toy store in Seattle.